The past few years have seen an unprecedented mass migration to Europe, as refugees from war and poverty throughout north Africa and the Middle East have embarked on perilous journeys across the Mediterranean in the hope of being allowed to start new lives in Europe. This book draws on more than five hundred firsthand accounts to reveal the human story behind the statistics and demagoguery. What is it like to set out for Europe with your family, knowing the dangers you face on the way? Why are so many people willing to risk their lives crossing the Mediterranean? What are their hopes and fears? And why is Europe, one of the richest regions of the world, unable to cope? 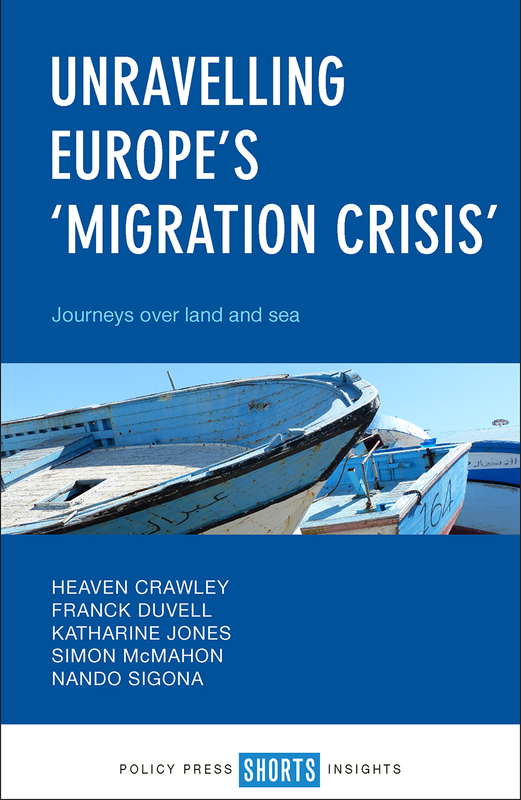 More than just telling a human story, Heaven Crawley and colleagues provide a framework for understanding the dynamics underpinning the current wave of migration and challenging politicians, policy makers, and the media to rethink their understanding of why and how people move.